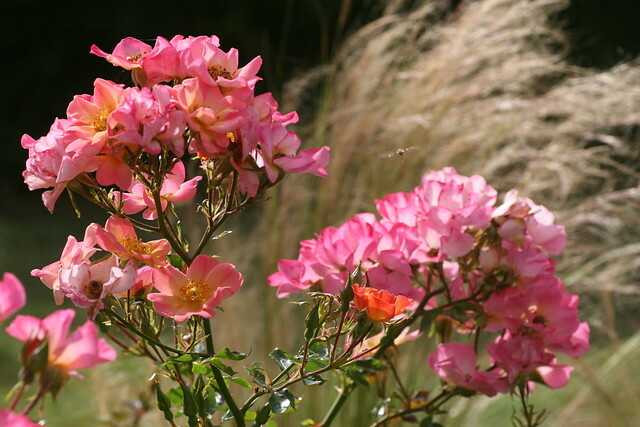 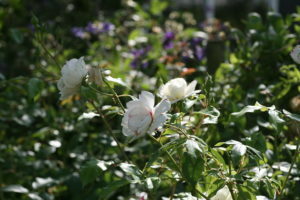 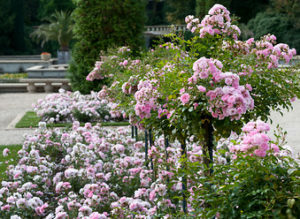 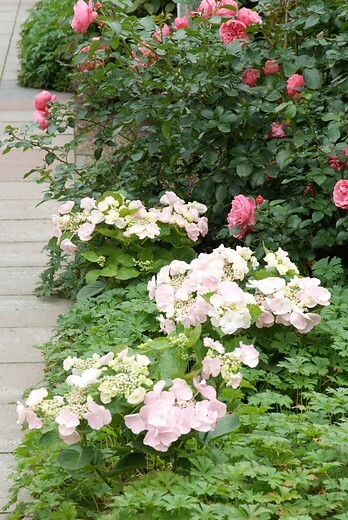 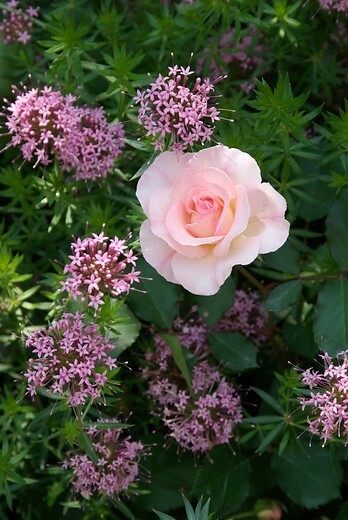 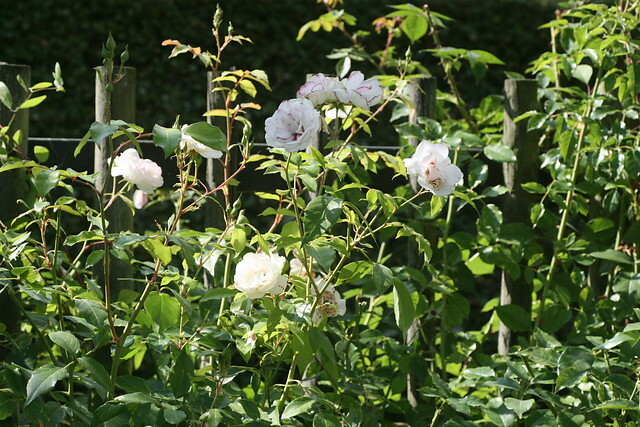 Roses are beautiful in a bed by themselves, but you could also combine them just as well with other plants. 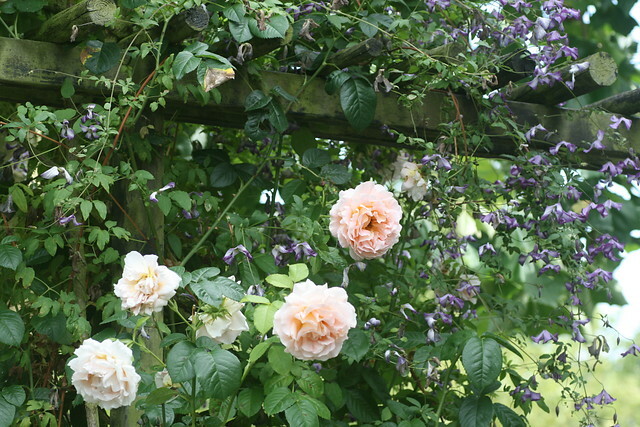 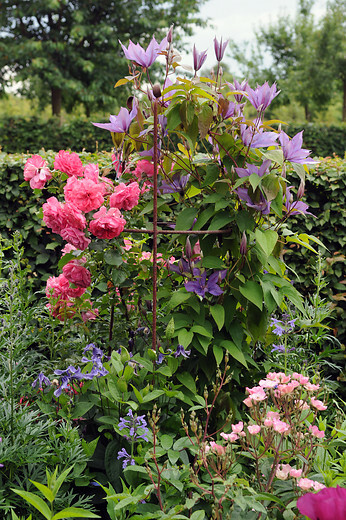 Take a climbing rose and a clematis for example. The clematis will simply scramble up into the climbing rose and the flowers of both plants will provide a combined display. And don’t forget: spring-flowering bulbs such as tulips, crocuses and daffodils will add colour before the roses start to bloom. You could also create nice effects with perennials. 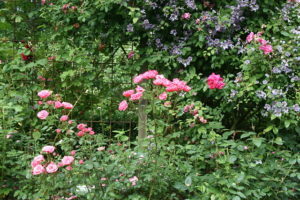 An edging using lavender (Lavandula) creates a neater, more clean-cut look, yet catmint (Nepeta), cranesbill (Geranium) and vervain (Verbena) will give you a softer, more natural effect. Roses: so many, many ways to use them!